The X Training Equipment® Elite Bearing Bar was specifically designed for fast, dynamic lifting. It regularly outperforms bars that cost two or three times as much! No costs were spared when developing this Olympic bar. We started with 190K PSI alloy steel which is known for its unique ability to handle heavy lifts without permanently bending. Then we developed a medium knurl with dual markings that is firm yet comfortable. Next, we found the best performing needle bearings that gave us the least amount of friction for optimal spin. Lastly, we coated the bar from end to end with a hard chrome finish which has all the protective properties of standard chrome, but is not as slick and gives the bar a more natural feel. This is the bar of choice weightlifters of all skill levels! Love the bar. Great value, great spin, great knurl. This is an outstanding bar for the money! You won't find a bearing bar of this quality anywhere else at this price. I spent a full day at a competitor company based in Columbus and didn't like any bar I put my hands on except for the $800+ Euro weightlifting bar. This X-Training is every bit as nice and spins just as well as that $800 Olympic bar! 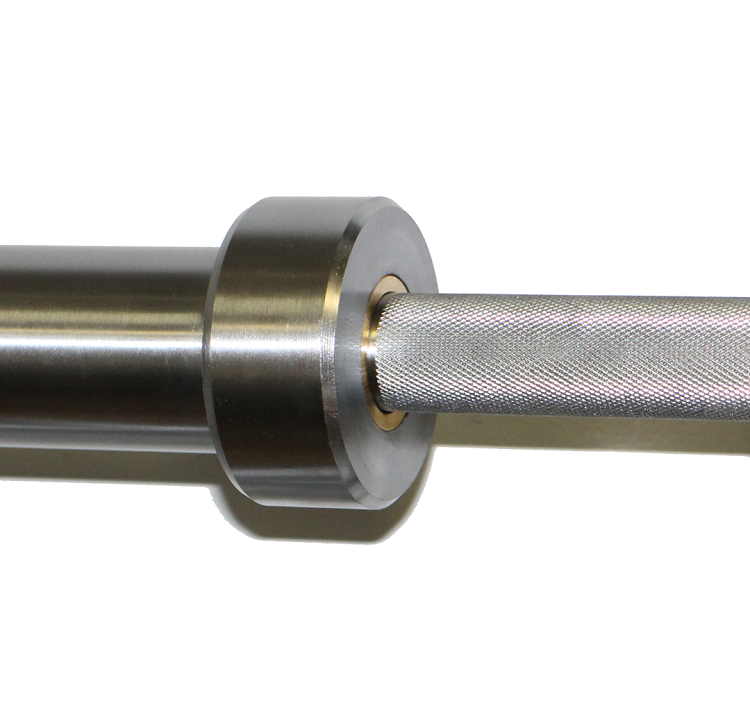 The knurling on this bar is great as it is with all X-Training bars. I recommend and let everyone try this bar out. Every person who touches it and trains with it wants one. Buy this and will not be disappointed! I have a huge home gym and love this bar! It is very cheaply priced for the quality and couldn't have asked for better. The collars are very well lubricated and spin amazingly. Well the investment as opposed to cheaper bars that aren't as bendy. Very comfortable grip and bar width as well! I love this bar! Great spin and whip. Very comparable to The Other Guys "17th State Bar". Love it, solid bar, spins well great whip! I ordered this bar for my home garage gym with the intended use of Olympic lifting lifts and training. I have never loved a bar this much. The spin is great, it feels comfortable in your hands and performs as well as any high dollar bar I have tried. Great purchase that I would recommend to anyone! Best bang for your when it comes to barbells. No problems with it at all. Great customer service as well.